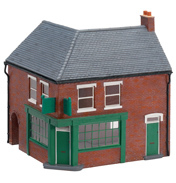 Take a step back from the Skaledale railway and you realise you’ve got an entire village to build, including streets, shops and houses. When building up a Hornby model railway it’s easy to concentrate on the train engines and track, but the landscape is equally important. The miniature village of Skaledale seems somewhat historic, with old redbrick terraced buildings that remind us of those industrial working class towns that populated the North of England. 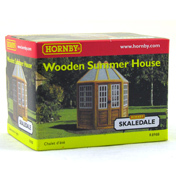 The Hornby Skaledale collection offers a wide variety of buildings that suit that style. 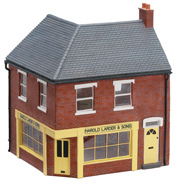 One of our favourites has to be the Corner Terrace Shop (R8624) or the Off License (R8623). Both of these classic buildings were once in every small town, but large Supermarkets have seemed to threaten these types of businesses. 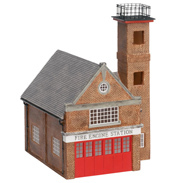 The Country Fire Station (R8626) or Police Station (R8701) would also be a fantastic addition to a thriving model village community. 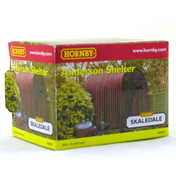 Or, if you want to step back in time perhaps an old Anderson Shelter (R8987), which as you probably know was in almost every garden throughout the UK during World War 2. 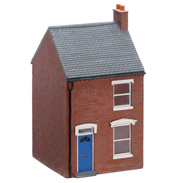 Building a any model railway can be a touch job, but these ‘00’ scale models help you get is right from the start. Before you know it you’ll have a thriving Skaledale community with the sound of steam engines thundering through.